The designer of our bodies also created the perfect food for us and provided a User’s Guide. Your body is designed with the innate ability to stay healthy and to regain health. 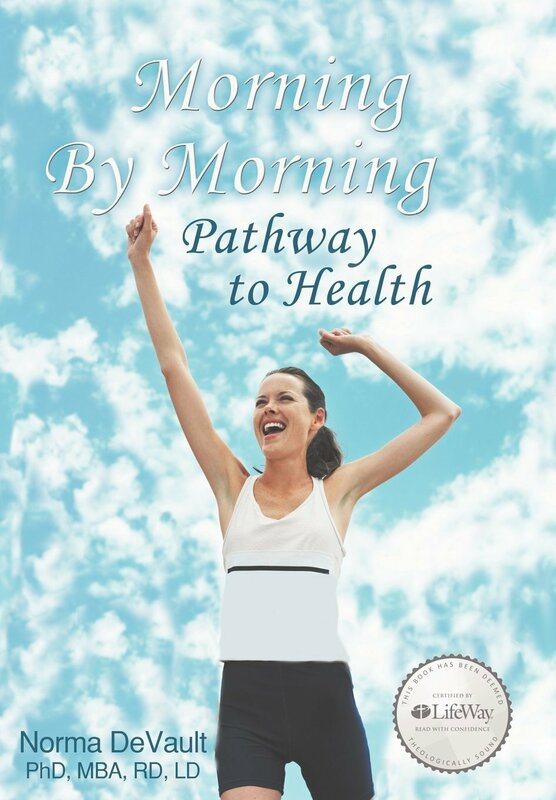 The Morning By Morning Pathway to Health is nature’s own way, based on biblical principles applied to health. It emphasizes a daily, ongoing commitment and the faithfulness of God that can transform your health. This uplifting book encourages people on their journey to health and well-being by coming alongside and giving the word that sustains the weary, and celebrating steps on the pathway to health. The author puts scientific information into perspective with Bible teachings and makes practical health applications to daily life using the acronym “NATURE’S OWN’ as a convenient way to describe the steps on the Pathway to Health. The path to health and well being is God’s way. Vitality can be yours! May your journey to health be blessed and bring glory to God.